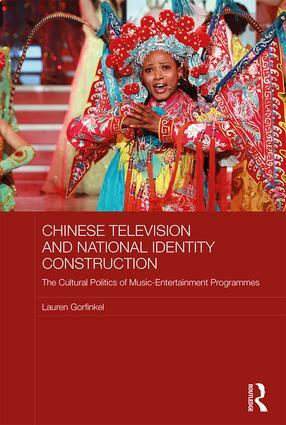 This book examines music entertainment programmes on China Central Television, China’s only national level television network, as well as on nationally-available provincial channels, exploring how such programmes project a nuanced image of China’s identity and position in the world. It shows how the images presented - primarily to domestic audiences - are in step with China’s party-state nationalism, and at the same time flexible and open to change as China’s circumstances change. The book contextualises identity construction in the media by examining the development of television in China and the political struggles between provincial and national television stations, as well as by foregrounding the historical and contemporary role of musical culture in China's nation-building project. It discusses the portrayal of the majority Han Chinese, and of ethnic minorities and their music, which, the author argues, are shown as fitting with the party-state rhetoric of “a unitary multi-ethnic state”. It also outlines how the Chinese of Greater China – Hong Kong, Taiwan, Macao and the overseas Chinese – are incorporated into a mainland centred Chinese identity. In addition, it shows how the performances of foreign personalities on the Chinese television stage emphasise foreigners' attraction to China, the uniqueness of the Chinese nation and Chinese civilisation, and the revitalised role of China in the world. Overall, the book demonstrates how the variations of Chinese identity fit with prevailing political ideologies in China and with the emerging theme of a China-centred world. Lauren Gorfinkel is a Lecturer in the Department of Media, Music, Communication and Cultural Studies at Macquarie University, Australia.